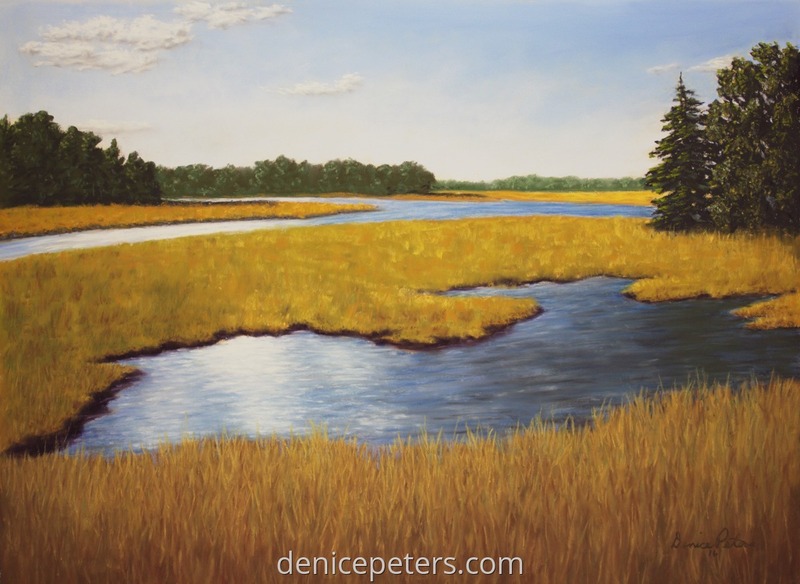 Pastel painting of a wetland area. I loved the sunlight reflections in the water and the patterns the water created. Pastel on mounted Uart. 8" x 11"11" x 15"14" x 19.25"17" x 23.25"